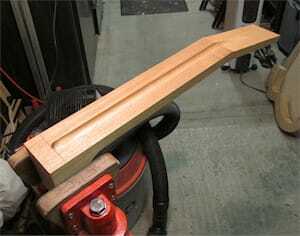 The Ultimate inGuitar Neck Bracing! 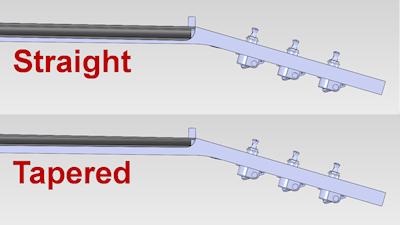 The Carbon Fiber D-Tube Neck Beam™ has been specifically designed to stabilize instrument necks due to its unique D-Tube structure. The Carbon Fiber D-Tube Neck Beam significantly increases both bending and torsional stiffness and weighs less than the removed wood! Installation is quick and easy. 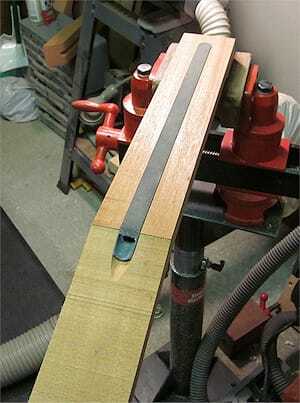 Simply cut a groove in the neck using a 3/4" or 1/2" core box router bit and bond the beam into the neck. The straight beams require a groove of constant depth. 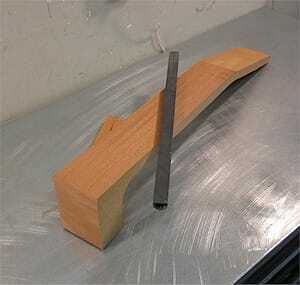 For the tapered beam the groove is cut shallower at the head. 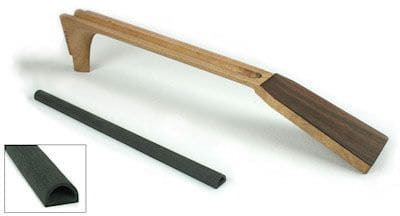 The reduced depth of the beam near the head makes it ideal for thin necks. Note: Discount will be applied after sale and will not be reflected in shopping cart. Carbon Fiber Reinforcement D-Tube Cradle - 0.75"
Carbon Fiber Reinforcement D-Tube Tee - 0.75"
Carbon Fiber Straight D-Tube .5" x .39" x 6"
Carbon Fiber Straight D-Tube .5" x .45" x 16"
Carbon Fiber Straight D-Tube .75" x .5" x 16"
Carbon Fiber Straight D-Tube .75" x .5" x 20"
Carbon Fiber Tapered D-Tube .75" x .5" x 20"